Life as a Cobber doesn't end at graduation. You're just getting started. 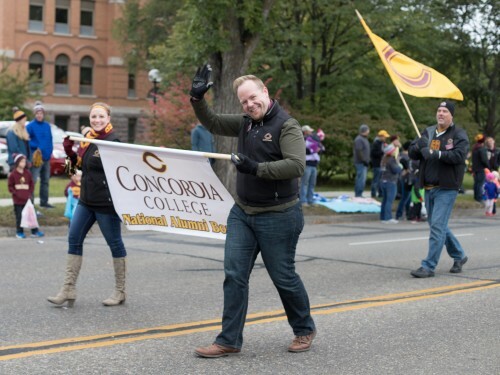 From happy hour gatherings to mentoring current students to being a part of the National Alumni Board, there are so many ways to stay connected to your Cobber family and campus community. Whether you just graduated or you've been away for a while, it's easy to get you plugged in to the alumni network. The Alumni Board serves Concordia by strengthening relationships between the college and alumni. Members provide valuable ideas and hands-on assistance to increase general awareness of Concordia among alumni, recruit new students and faculty, solicit giving, and recognize outstanding alumni contributions and services. The NAB chooses recipients of Alumni Achievement, Sent Forth and Called to Serve Awards, and meets 3 times a year. You're a part of the alumni network the day you walk across that commencement stage. Keep your Cobber connections strong and make new ones through events and opportunities focused on recent graduates. From baseball games, to happy hours, to service opportunities, to picnics, painting and brewery tours, there are plenty of ways to stay involved with your Cobber family. In advance of each five year class reunion, this team calls classmates (selected by "draft") to reconnect, promote the upcoming reunion, and extend an invitation to support the college with a gift to the annual fund. Post-reunion, team members reconnect with classmates to thank them for their gifts and share giving updates. Get to know a Concordia student who's interested in your occupation or area of study, answer questions about your career path, and/or allow a student to visit and tour where you work or shadow you for a day. It is very valuable for a student to meet and know someone who works in his/her field of interest. Indicate your willingness to mentor on the Volunteer Form or contact Karen Carlson, Associate Director of Alumni Relations, for details. Class agents aim to keep classmates connected to each other and the college. To accomplish this, agents write the annual summer class letter, forward stories and updates of classmates to the alumni office, assist in special events and activities, and work with the reunion planning committee during their reunion years. This committee works with their Class Agent to plan and execute their class's reunion celebrations, which are celebrated every five years during Homecoming. These volunteers are instrumental in bringing their classmates together and making their reunion memorable. TC Cord is a group charged to plan social, educational, and volunteer activities for over 9,000 alumni in the Minneapolis and St. Paul metro area. This all women's group has Minneapolis chapter that organizes speaker events (often with brunch) twice a year. These events are designed for Concordia alumna of all ages to connect, network, and engage in interesting world topics. These volunteers engage alumni in their area through social, mentoring, educational and volunteer activities. Members live around the country and choose the type of events they would like to do. Volunteers are always needed as leaders, but also serve as helpers to leaders in their area. 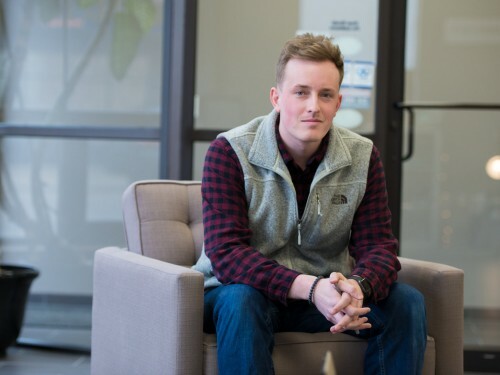 Students and Alumni Linked Together (SALT) exists to cultivate meaningful, supportive relationships between students and alumni and provide student leadership opportunities. Learn more about this staff-supported, student-led group. The publicist for the Oscars, the owner of a sandwich shop, former nurses and teachers, and a chef. These are just a few of the people who serve on Concordia’s National Alumni Board.